Elegance and beauty are realised within this beautifully crafted pair of 3 stone diamond earrings, with moveable links and precision set diamonds. The Cascade design offers a versatile Diamond set earring dazzling with Round Brilliant cut Diamonds. Achieving a total carat weight of 0.55cts each Diamond is graded G Colour and SI1 Clarity prior to setting. Each mirror backed link reflects light—intensifying brilliance and sparkle with freedom of movement from each linked section. Crafted in 18ct White Gold, this exceptional pair of earrings are typically available from stock subject to availability. Beautifully packaged, they arrive in pristine Serendipity Diamonds packaging within their own presentation box. 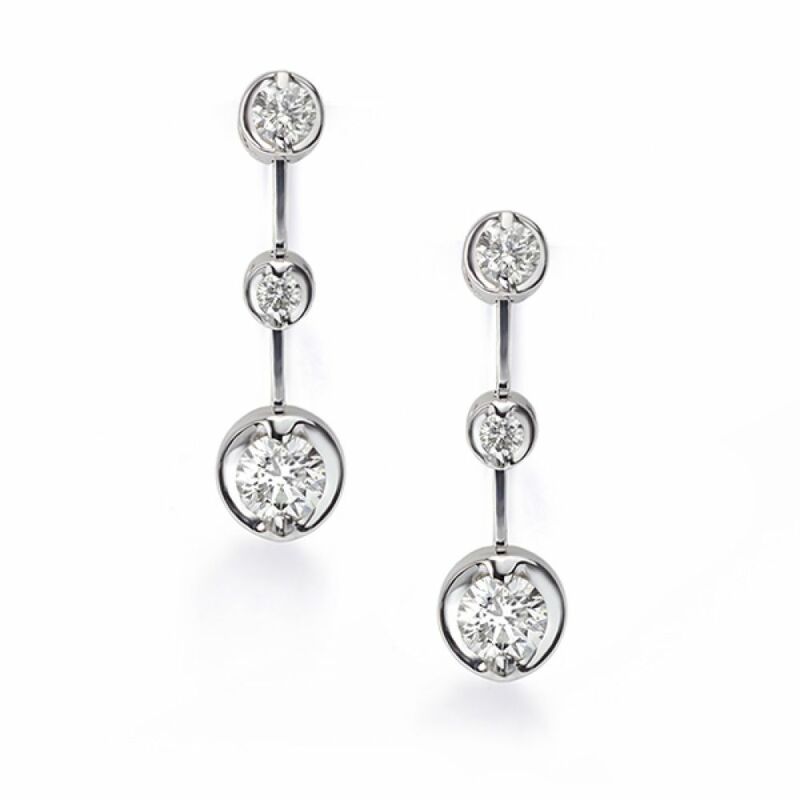 Contact us for more help and guidance on any of our diamond earring designs.